Phoenix Law Enforcement Association > PLEA News > Final Notice on Verizon Contracts! 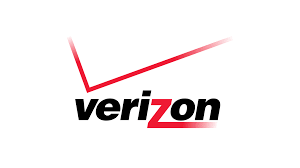 Final Notice on Verizon Contracts! As previously mentioned, Verizon has evaluated their current contracts with all associations and will be implementing changes nationwide. Verizon has assured us that all public safety associations will be held to the same contract agreement. Despite our greatest efforts, the contract with Verizon will undergo a transformation. Today is the last day to complete any upgrades, addition of lines of service, feature additions or plan changes before the new contract agreement is implemented. If you have upgraded phones, they need to be activated by 10/30 to remain on the current contract plans and pricing. • Insurance added to a line will NOT cause a contract or plan change, but must be eligible to add. Early Termination Fees will not be charged on EXISTING lines of service prior to the date of the new contract. Please know the PLEA Office Staff is available and willing to assist with these difficult changes.